The Nokia Lumia 920 is certainly the best Windows Phone 8 smartphone on the market right now. There, that's one base covered. The Ativ S with its larger screen and more reasonable weight might have a thing or two to say about it, but the Lumia 920 is definitely the most complete package the Microsoft platform offers. The Nokia flagship has a great screen, excellent design and impressive build quality. It's also a smooth performer and, thanks to the updated WP8, looks fresh and distinct. And while Microsoft doesn't allow much room for UI customizations, the Nokia exclusive apps make a huge difference and keep the Lumia 920 on top of the WP food chain. The great free voice-guided navigation with offline maps, the cool Nokia Music service, and the exclusive camera apps are actually good for more. They put the Lumia 920 in a great position to target the iPhone 5 and steal a few customers away from iOS. A year ago, comparing those two would be considered outrageous, but the truth is Microsoft is catching up pretty fast. It lifted some of the self-imposed limitations such as the mass storage support to buy some time until it catches up in other areas (we need a proper notification center, for one). There are also some exclusive features like the Kid's corner, while the lenses app is a great new approach to photography on smartphones. After the iOS 6 Maps fiasco, Nokia grabbed the chance to bring its HERE service to the platform. 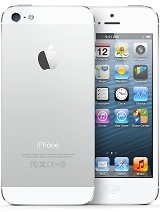 So now that iPhone users have had a taste, they may be more likely to try and give its better version a try on the Lumia 920. The Nokia Lumia 920 also provides a nice alternative to those, who were disappointed by the modest increase of screen size on the iPhone 5. At 4.5" and with an appropriately higher resolution, the Lumia 920 screen is far better suited to video watching and gaming (the number of game titles in the stores is a different story altogether) than the 4" unit of the latest Apple smartphone. Of course, there's no avoiding the elephant in the room, which in WP8's case is the choice of apps. Microsoft and its partners are doing all they can to catch up with Android and iOS, but they have a long way to go. You don't really need 700,000 apps, as long as the important ones are covered, but there are still some gaps to be filled. As things stand now, there're are barely any areas which the Windows Store has blatantly ignored, but choice is limited in many and you might need to occasionally settle for a not-so-well-designed app. There's also the matter of pricing and availability. Amazon is currently offering the 32GB smartphone for $20 with a two-year AT&T contract, while the 16GB iPhone is going for $200 ($300 for the 32GB version) on contract, but is available at three of the major carriers. SIM-free the difference is even bigger: the Nokia flagship is $450 to the $650 for the base iPhone 5, which has half the storage. Things are closer in Europe, but the Lumia 920 remains the notably cheaper option and has support for a larger number of the upcoming LTE networks. So, it seems Nokia has done a pretty good job this time around. The Sold Out signs are no accident and if the Lumia 920 keeps it up, the Finns will have something to celebrate. Its sales alone won’t instantly bring Nokia back in contention, but could really be the start of the fight back. And by the way, Android shouldn't assume it's absolutely safe. Sure, it has a pretty big lead in terms of sheer specs and features, and the droids are generally cheaper than their WP8 alternatives. But the Lumia 920 comes at a time when the current Android flagships are probably starting to lose some momentum halfway through their ride. 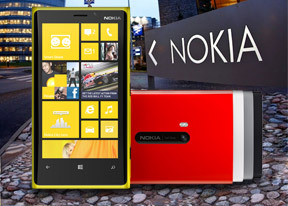 Microsoft and Windows Phone are Nokia's only shot at getting back into the race. This is a situation that no company would like to be in and a huge responsibility for the Lumia 920. It must be wondering which one weighs more on its shoulders, the company's past glory or hopes of the future. It doesn’t crumble under all that weight though. Things maybe even start to look at least a little bit brighter for Nokia. And even if the light at the end of the tunnel is, you know, an oncoming train, we can bet you'll hear the Nokia Lumia 920 say, "Good. Finally a match for size".